This is the second time around for reading this! As the title says I have read this series before but it has been quite a while since the first time and a 6th book has just come out, so I thought I would get a "refresher" so that I knew what it was all about. I thought I would read a little of each book to just get a taste, but at once with this (the first) I was once again glued and could not stop at just a "taste". I have found that there was a whole new nuance and I enjoyed it even more the second time around. This story is not about a tough heroine who goes out to win the prize or beat the bully, this a story about a person who is used by a so called protector and how in the midst of a snow storm ends up a a place no human goes by choice but still manages to make a life with "the Others". 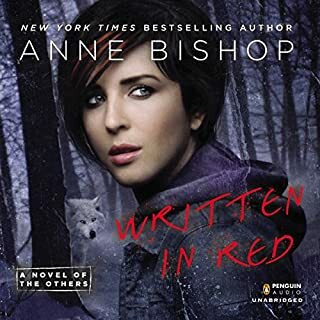 Yes it has "were Wolves", "Vampires" and all other kinds of Others, but this is NOT about horror or terror of the night, it is much deeper than that and all I can say is that Anne Bishop has a beautiful mind to create a world like Fasia and still keep my interest through 6 books and then come back around for a second and maybe even a 3rd look, who knows? 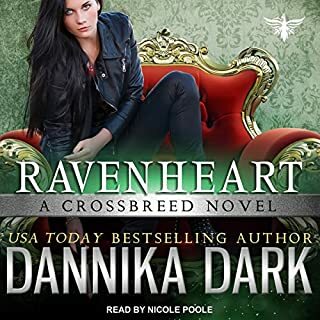 The Narrator does an excellent job to keep interest in all of the characters, from hawks and crows to wolves and vampires and elementals and there is even one in there that even the others have no name. So pull up a comfy chair and listen to you hearts content, knowing that you are safe because the Others are Here. I have loved C G Nuttall's other series and this one looks just as good. As this is the first and only one so far I can only review It. The Zero Enigma is almost the opposite of his other series because, in this one it, is the lack of magic that the protagonist has to overcome. 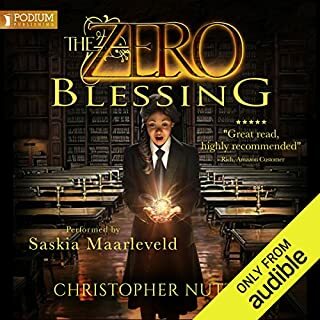 I can honestly say I cannot wait for the next book to come to Audible, to find out how this will be a real &quot;blessing&quot;.So go on Mr Nuttall and show us all how it is done. What ever happens I will hold my breath until it arrives. In the meantime I encourage you to try this first book and you will be as keen as I am! This series has really got me in. Crossbreed number 2 is even better than 1, I stayed up till gone midnight listening to it and as soon as I got up I kept going until the end, roll on number 3. The Narrator is great at what she does and I could listen to that dark chocolate voice for ever! It is going to be a great series and I am getting every one of them as soon as they come out. 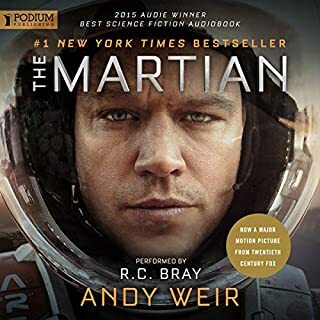 So spend your credits with the certainty that you are getting a great author, a great story and narrator combination and hours of good listening. Well this is something a bit different. 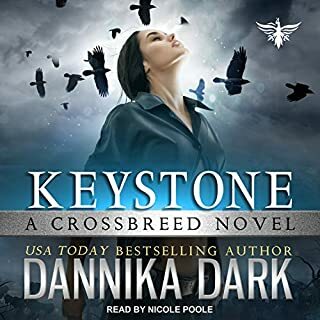 This is the first book in a series and having read it I am getting the next one, so it must have been a good story,.But what got me in was the different characters, and are they different. There is a Vampire, a mage or two (one who is blind), a cheetah shifter, a wolf shifter, a relic, a sensor and a half-breed. They are complicated people leading complicated lives, but it does work. The Narrator does a great job and keeps it real, they have tones and accents, but you are always sure who is talking at the time. So all in all it was a great book, and I recommend it. Hooray for Shannon Mayer and Rilee. Beware this is a 2 X box of Tissues episode. Having said that it is still Rilee kicking a** all over the place plus a surprise at the end. (no spoilers). So PLEASE, if you are a Rilee fan, read this anyway, it is worth the tears HONEST. 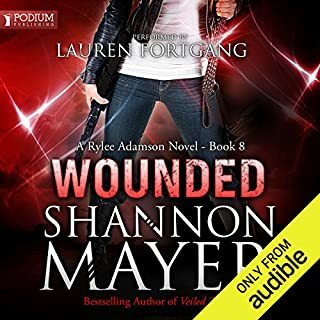 There is a new Narrator with this book, and I was used to Emma Galvin, but Lauren Fortgang does a good job too. I really think this series is worth the credits. 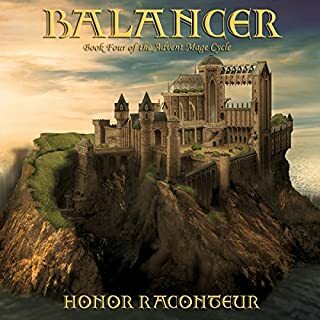 So if you are new to this series or this is your 8th book, read and enjoy. Atlanta would be a nice place to live, if it weren't for the magic. When the magic is up, rogue mages cast their spells and monsters appear, while guns refuse to fire and cars fail to start. But then technology returns, and the magic recedes as unpredictably as it arose, leaving all kinds of paranormal problems in its wake. OK I bought this book just because, so glad I did! I loved this book, so much in fact I purchased the next two, without even checking them out. 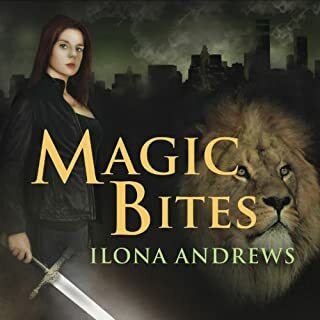 I have never been a big fan of werewolf and vampire books, oh I love fantasy it is my main listening thing, but I just have not had the urge for paranormal stuff. Until now, just on a whim I tried a sample of this book, the voice of Renee Raudman hooked me, have you ever heard a voice that just sent chills up your spine, well this woman does that to me. But that is not all, the story had me in five minutes, and kept me listening until the early morning. This is not your usual story of suave vampires and beastly werewolves, this is a story of what the world could have been if there was magic that came and went in waves. Truly I have not enjoyed a book so much in ages, try it, I am sure you will be spell bound too. A very good story indeed! 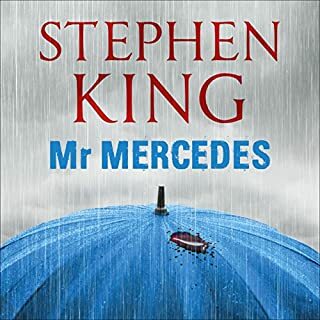 I think that although this is not his usual type of book it is indeed worthy of Stephen King. I am not usually attracted to detective type novels, but this one held my attention from beginning to end. In fact I will actually have to add that over used comment "I could not stop listening" and stayed up several nights to very early mornings. Also the narrator was first class, at no time did I think otherwise and I am picky with that. He told the tale with interest and seeming enjoyment and I was sorry when I came to the last line. I highly recomend this book to not only King fans, but also to the people who usualy would not read his books,.As I said at the beginning it is not the usual thing you expect from him, but you will not be disapointed at all. I hope if ever I get stranded this man is around. This Author again has a story to keep you rapt. Still good Honor and it left me wanting more. If you have read any of my reviews on these books, you already know that I love this series, so I won't go on about it. 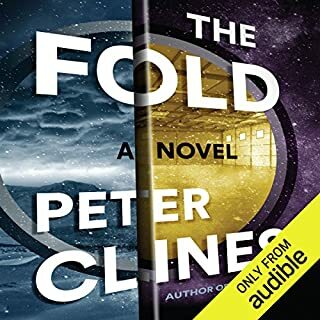 I was sorry when I purchased it, as it seemed to be the last one, and then I spotted another title on Audibles shelves. I won't be a spoiler and tell you all about it, just know Honor has made another trip into this world.